I have a brief interview coming up on Creative Mojo. 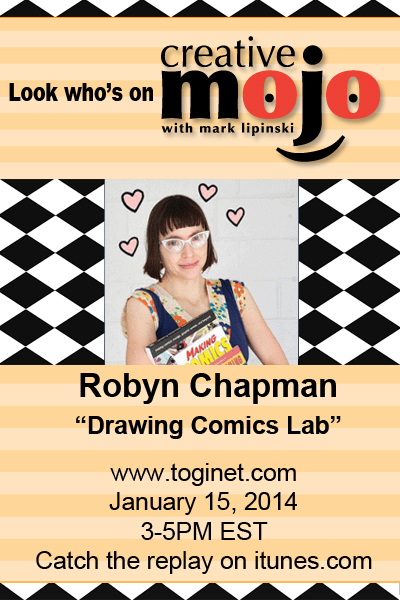 We’ll be talking about my book, Drawing Comics Lab. I have to be honest, I’m pretty nervous about the interview! (I understand that Creative Mojo has a large audience.) I’m one of those people who doesn’t like to hear her voice recorded. I much prefer to edit my words on the written page. But, Mark Lipinski was gracious enough to invite me on his show, so how could I say no? 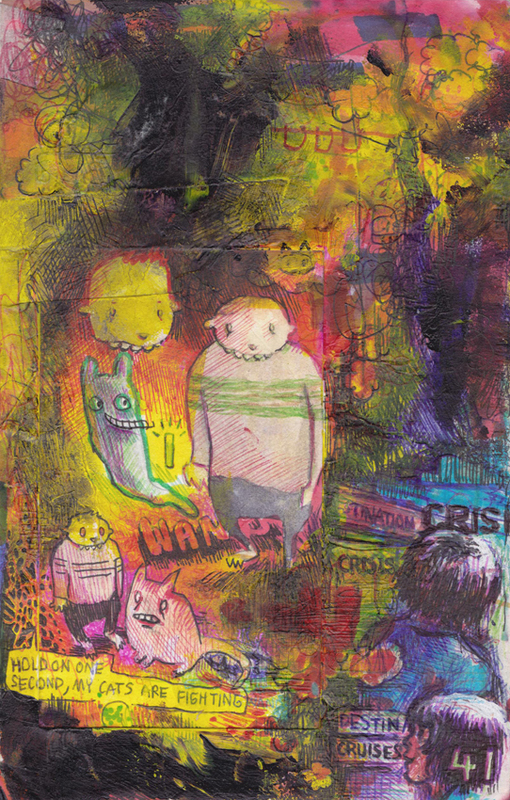 In other new, Jesse Relkaw had a lengthy interview on the Comics Reporter! It made my day that Tom Spurgeon called Lovf a “significant book” and linked to the Paper Rocket store. Thanks, Tom! Previous postTake the Micro-Press Survey!